The period of best opportunity for selling a home at a reasonable price is the first four weeks after it is put on the market. A�Buyers who have seen most available listings are waiting for just the right house to come on the market. A�If your house is priced right from the beginning, you are in the best position to attract the maximum number of buyers able to pay the price your home is worth – and to sell your home within your timeline. Price is not always the determining factor when accepting an offer for several important reasons: the initial offer is usually not final, and there are a number of terms and conditions that may influence the final outcome of a price. As your REALTOR we will help you thoroughly evaluate every proposal without compromising your market position. There may be many details to resolve before a sale can be considered final aside from price such as inspections, financing, possession date, buyer concerns and objections. A�We take the ethical responsibility of fairly negotiating contractual terms very seriously. A�It is our job to find a win-win agreement that is beneficial to both parties involved. A�As your agent, providing you with a thorough and objective assessment of each offer is vital for you to make the right choice and careful not to let the wane during negotiations. As professional agents we want to avoid problems so we ensure that all terms, costs and responsibilities are spelled out in the contract of sale. 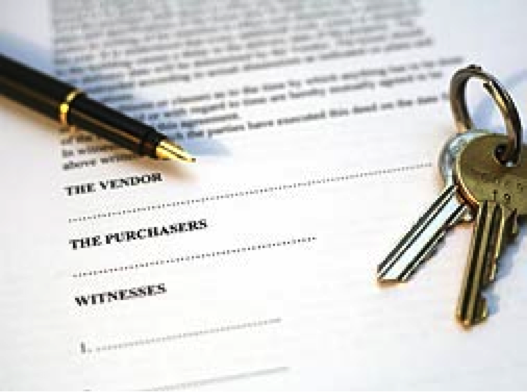 A�The offer will include such items as date it was made,names of parties involved, address of the property being sold, purchase price, where deposit monies will be held, date for loan approval, date and place of closing , type of deed and any contingencies that remain to be settled and what personal property is included ,or not, in the sale. A�Keep a written record of everything. Now that you have chosen your offer, you and the buyer will be given a timeline to mark the processing of closing the real estate contract. A�During the process we will keep you constantly updated so you will always be prepared for the next step.